This guide is split into two sections, but you will only need to use the one that applies to your circumstances. Which section applies to me? …you are an employer who has to provide a pension scheme (Section 1 – below). …you are an employer who doesn’t have to provide a pension scheme now but still has duties (Section 2 – below). Alternatively you can use the Duties Checker to work out your legal duties. The online Duties Checker will ask you some simple questions to help work out which legal duties apply to you. 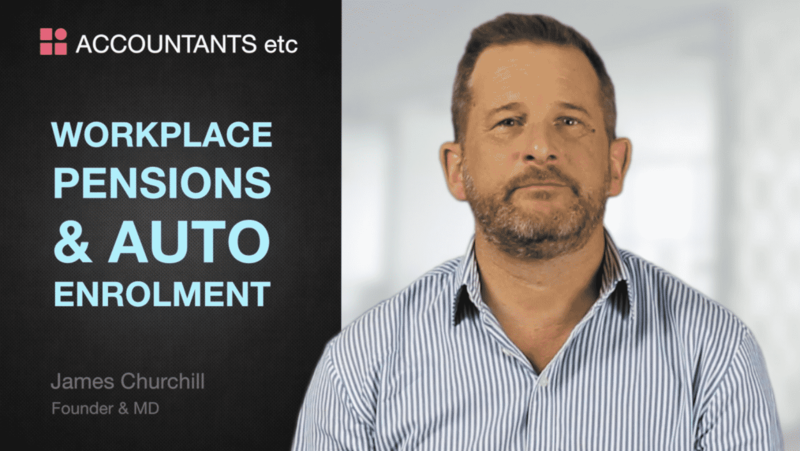 You will need to know your PAYE reference, your letter code (both of which can be found on the letters sent you by The Pensions Regulator) and, if you employ anyone, their age and earnings. This is when the law comes into effect for you. Your staging date can be found on the letters sent to you by The Pensions Regulator (TPR) or when you use the Duties Checker. This is the date by which you must tell TPR how you have met your legal duties. You must do this by completing an online form known as your declaration of compliance. Find your declaration deadline by using the Duties Checker. You should do this now. This step will take around 5 minutes. If you haven’t already done so, you should now confirm who the employer / owner / most senior person in the company is as they are responsible for making sure the legal duties are met. They will be sent letters to keep them up to date with the tasks they need to complete and by when. If someone else is helping with the tasks (such as an accountant, a financial adviser or a member of staff), you should give TPR their details, including their email address, as the ‘additional contact’. They will then send them a series of emails to give additional help and guidance with the tasks. If no ‘additional contact’ information is provided, these emails will be sent to the ‘employer contact’. You should do this around 6 months before your staging date. You’ll need to have a pension scheme that is set up for automatic enrolment. You and your staff will pay money into this scheme to help them save for their retirement. If you have an existing scheme you should check with your provider to see if it can be used for automatic enrolment. If it can’t, or you don’t have an existing pension scheme, you’ll need to find a new one. The government has set up the National Employment Savings Trust (NEST) for employers that wish to use it for automatic enrolment. Other pension schemes are also available. You must do this on your staging date. On your staging date, you must work out how much each member of staff earns and how old they are. TPR have more information and a useful tool on their website which will help you work out who to put into a pension scheme on your staging date. You should use this information in order to complete your declaration of compliance. You must do this within 6 weeks after your staging date. It is your legal duty to write to all your staff individually to explain how automatic enrolment applies to them. You must do this within 5 months after your staging date. You can start your declaration of compliance at any time but you must complete it by your declaration deadline. Your declaration is an online form for you to tell TPR how you have met your legal duties. Even if someone else has helped you with your duties and may even be completing the declaration for you, it is your legal duty to make sure that the declaration is completed on time and the information entered is correct. If not you may be subject to fines. Every three years you’ll need to put staff back into your pension scheme if they have left it, and if they meet the criteria to be put into a pension scheme. This is known as automatic re-enrolment. TPR will write to you nearer the time to explain what you need to do and by when. Please ensure you keep your contact details up to date to make sure they write to the correct person. 3 months before your staging date you should check to see if any of your staff’s age and/or earnings have changed as you may now need to put them into a pension scheme. You should use the Duties Checker to do this. You can also choose to complete your duties early to give you peace of mind that you’ve met them on time. To do this you must bring your staging date forward. You can pick a date that suits you and you can complete your declaration of compliance at the same time. On your staging date, you must work out how much each member of staff earns and how old they are. This is because you may need to put them into a pension scheme if their age and/or earnings have changed. TPR have more information and a useful tool on their website which will help you work out what you need to do. You should use this information in order to complete your declaration of compliance. You must do this within six weeks after your staging date. 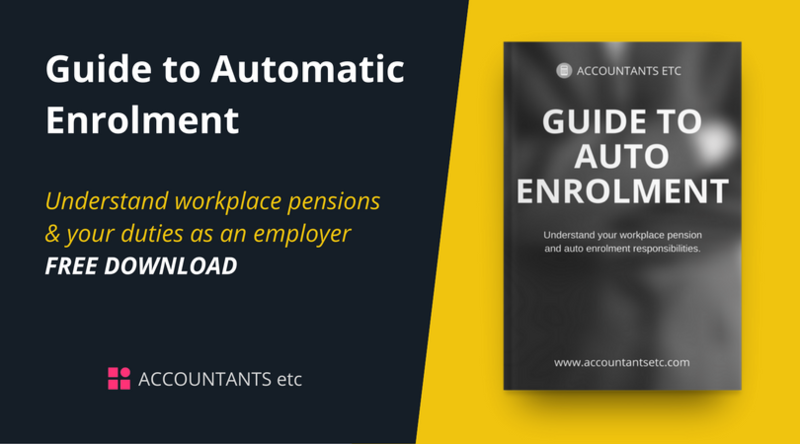 You will need to write to your staff to tell them how automatic enrolment applies to them, even if you don’t have anyone to put in a pension scheme. You must do this within 5 months after your staging date. You must complete your declaration of compliance by your declaration deadline. This is an online form for you to tell TPR how you have met your legal duties. It is your legal duty to make sure that the declaration is completed on time and the information entered is correct, even if you have no staff to put into a pension scheme or someone else has helped you with your duties. If you do not complete your declaration you may be subject to fines. This guide is designed to assist employers in complying with their duties. This guide is not intended to be a definitive way of complying with the duties of the Pensions Act 2008 and the regulations made under the Act. The Pensions Regulator cannot provide a definitive interpretation of the law; only the courts can do this. If you have any doubts of your legal rights or obligations please seek legal advice. Any alternative approach to that appearing in this guidance will nevertheless need to meet the underlying legal requirements.